C.S. Lewis' classic is reborn in The Chronicles of Narnia: The Lion, the Witch and the Wardrobe', when four children from war-torn England find themselves transported to a land of myth and fantasy. It has been foretold that they will bring peace to Narnia. But can they survive the evil treachery of the mysterious White Witch who claims to be Queen? Each one of us has its own opinion about things we see and for me this movie I think was the best. I have seen this when it first came out on 2005. While watching this I felt like a kid again and was one of them in their fantasy adventure. I wanna see the Narnia; Prince Caspian if I have tape on it. I haven't seen this movie but would like to! 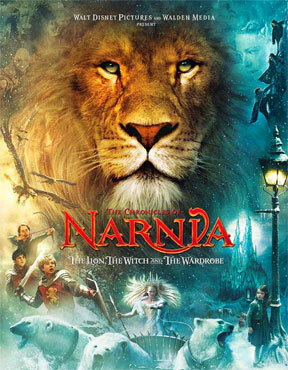 one of my favorite movies is the narnia too mommy shy. you should watch prince caspian jud! maka miss cla lucy, edward, peter ug susan. and of course the wonderful narnians mr. tumnus, the beavers and aslan. thanks for sharing your movie this week mami shy. next week, we will feature urban legends. happy tcp! We loved this movie too Moomy Shy. Thank you din for your frequent visit on my site knowing na you're too bust there too.Thank you always for the good words you' dleft inmy blog that really made me smile.Take care always & please give my warmest hugs & kisses to your cutey kiddos Jake & Justine!Mwah! agoy favorite pod nko ni'ng Narnia Karya, nagplan ko og palit ani pag e-sale toa.. heheheh.. nice mn jud xa gud oi..